We all love to read books especially when we are surrounded by them. Yes, we are talking about libraries. When we are in a library we so get into the story and forget about the real world around us. The books’ world seems so real and significant. We believe libraries create a utopia kind of alternative world that makes life easy for some time. And for our love for libraries, we have prepared a list of best libraries in the world that will thrill all the book lovers. The library is made of black granite which looks so attractive. It has a spacious hall, a café and exhibition space, too. This place is also known as the Black Diamond. The library’s collection is a large part of its founder, Thomas Jefferson’s own collection of books. The library offers free classical concerts. The infrastructure of the library looks so beautiful. The main reading room is the highlight of the library. The spectacular sky like the ceiling is the main highlight of the library. 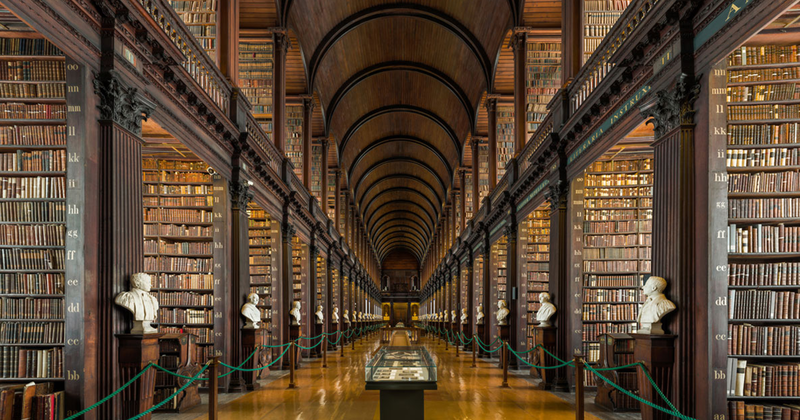 The library was established in 1622 and has over 20,000 volumes. Just have a look at the amazing architecture of the building. This place is surely a lot more than just a library; It has shops, a café and also it’s a gathering point. The library is stretched over two city blocks. It exhibits several exhibitions and provides free one hour tour of the library. The arched ceiling and 200 feet long room are the most striking highlights of the library. It does give an ancient look, which pleases visitors who visit this place even with no intentions to read. This super cool library doesn’t really look less than a mall or some fancy museum. The library much knows of its tradition wood paneled Shakespeare Memorial Room. The futuristic infrastructure of the library has nine stories out of which five stories are that of reading areas. The building is made of glass that appears as a monolithic cube. The place looks so spectacular and amazing.